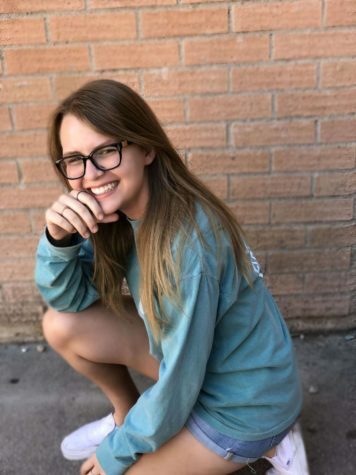 Emma Walrath is a junior at Sahuaro High School and the headline news editor for The Paper Cut. She is movie-buff, music lover, and a coffee enthusiast. She is on her second year of playing on the Sahuaro golf team. She loves sushi, the band SWMRS, and the movie The Princess Bride. She also can fall down a YouTube hole for hours at a time. She loves to keep up with current events and is very politically minded. Emma is a feminist and a strong ally for the LGBTQ+ community. Her friends would describe her as someone filled with dark comedy and bravery, because she will order at a restaurant when everyone else is too nervous.